ISPeW is the most valued Interprofessional, Interdisciplinary, Multidisciplinary Paediatric Wound Care Conference within the Research and Clinical fields. 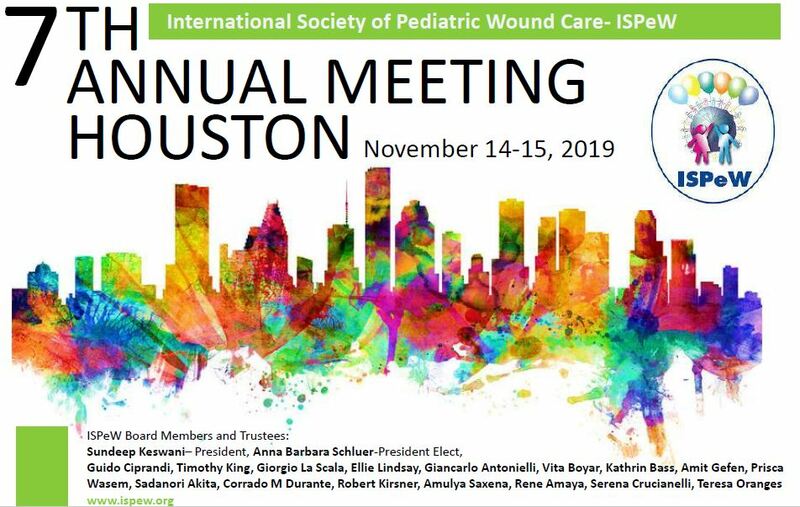 The Symposium of the International Society for Paediatric Wound Care (ISPeW) serves as a focus to link the entire wound care Team dealing with wounded children in all over the world. Nurses, Physicians, Nutritionists, Plastic and Reconstructive Surgeons, Microbiologists and Immunologists, Psychologists, Physical Therapists, Researchers, Allied Health Professional Figures, will be all togheter involved for the same mission: to prevent, to care and to innovate management of Complex Lesions affecting preterms, neonates and children. These smallest patients have to be approached close to their families with empathy, skills, upgraded techniques and a lot more You could live this year in Rome, November the next. This is a Child Centred Care Conference increasing the friendship between delegates coming from south to north and from all different directions but with just one and the same goal: to assist the most fragile patients. Welcome to Rome! We are very onoured to announce that Prof. Robert Kirsner will be the Speaker of the ISPeW Annual Lecture, 2018, titled "The Life and Times of Bacteria: New Insights into Wounds and Wound Healing"
2.The best original scientific papers will be selected for publication on "Advances in Wound Care"
It is really worth submitting an abstract for the ISPeW meeting! Essentials in Wound Care Dressing: is there something new? Download here the Final Program!